ALPHA TELLS PEOPLE ABOUT JESUS - YOU JUST NEED TO INVITE THEM! As Christ-followers, we are called to make disciples! If you’re looking for an easy way to share Jesus with someone, invite them to Alpha. In 2018, 80% of people who attended an Alpha course came as the direct result of a personal invite. However, according to a recent study, only 29% of Christians actually feel comfortable with the idea of inviting a friend to church. This is your chance to step out of your comfort zone and to risk the invite! 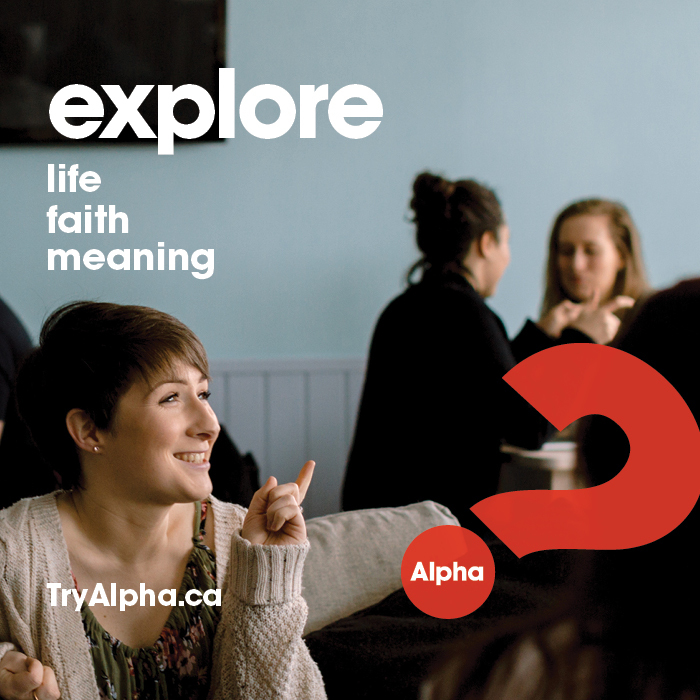 We’re hosting a 6-week Alpha course in our King Street Cafe starting on Wednesday, April 24th. There will be snacks and refreshments, friends, and the freedom to ask big questions and to wrestle with the answers. All are welcome! We just need YOU to invite the people you care about. 75minutes of eating (yes, free food), video, and group discussion in a safe, friendly, and open environment.